Lina and Lomey stepped up against general apathy to create something for themselves, their families and their communities. Bravery is at the heart of entrepreneurship. The willingness to believe in your own convictions when the odds are against you is tough; and given the social and economic realities across our country, it's even tougher if you're a woman. Two women who denoted this courage are Lina Menjo (30) and Lomey Mili (26) from the eastern most state of Arunachal Pradesh. Coming from families of farmers, both Lina and Lomey didn't complete their graduation. Lina's husband is a seasonal businessman with no steady source of income, while Lomey's husband is a small time contract worker working whenever some work comes his way. They're both raising two kids each. With a massive 94% rural population, the economy of Arunachal Pradesh is largely agrarian. This allows many communities to take to wage labour, thereby slipping into unstable occupations and incomes. The rising prices of daily commodities pushes families to seek steady sources of incomes to improve living conditions. Pushed by similar realities, Lina and Lomey decided to upskill themselves and hence enrolled at our partner AAMYA's centre in Roing. At the centre, Lina and Lomey pursued our course on Retail Management and Customer Interaction, and Life Skills. The curriculae provides critical life skills and an understanding of the retail industry making learners proficient in customer facing roles such as retail, sales and quick service restaurants. The course gave Lina and Lomey the confidence and skills they needed to fight against popular sentiment and general apathy to create something for themselves, their families and their communities. 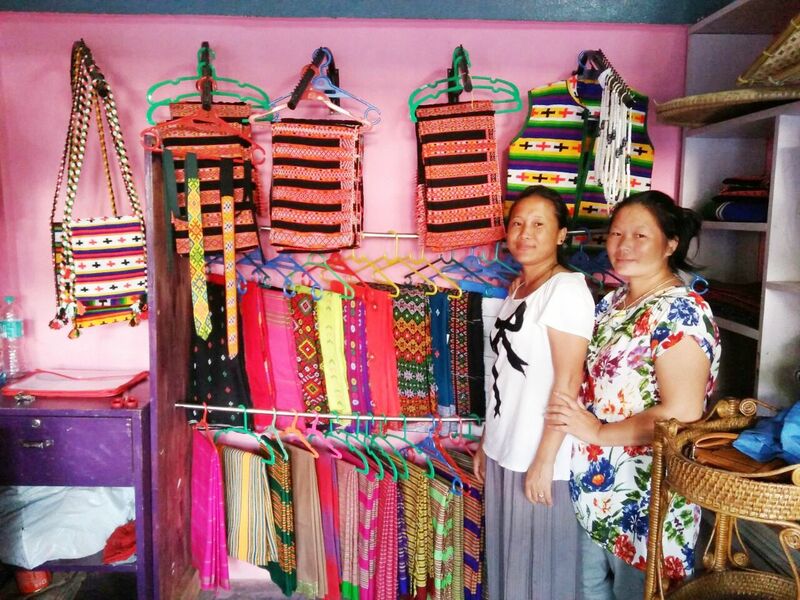 With support from NABARD, they started their own mart selling locally made traditional handloom and handicrafts. A profit of INR 28,560 in the last six months validated their efforts, giving them credence to manage their homes as well as provide for their families. A reliable income helps them ensure their children's schooling is uninterrupted. Lina and Lomey are now part of the District level SHG federation. We're proud to have been part of their story, and to have partners like AMYAA Society ally in our commitment to youth empowerment. AMYAA Society is based in the Lower Dibang Valley District. It supports backward tribal communities to become self-sustainable and self-reliant.